Whether you're looking for temporary wall decor for your rental or are eager to find creative ways to spruce up your domicile, contact paper is an affordable and easy option for those with a creative hand. From adorning your space with metallic polka dot wall decor to transforming your ceiling fan with your favorite chevron pattern, discover these five decorating tricks with contact paper. 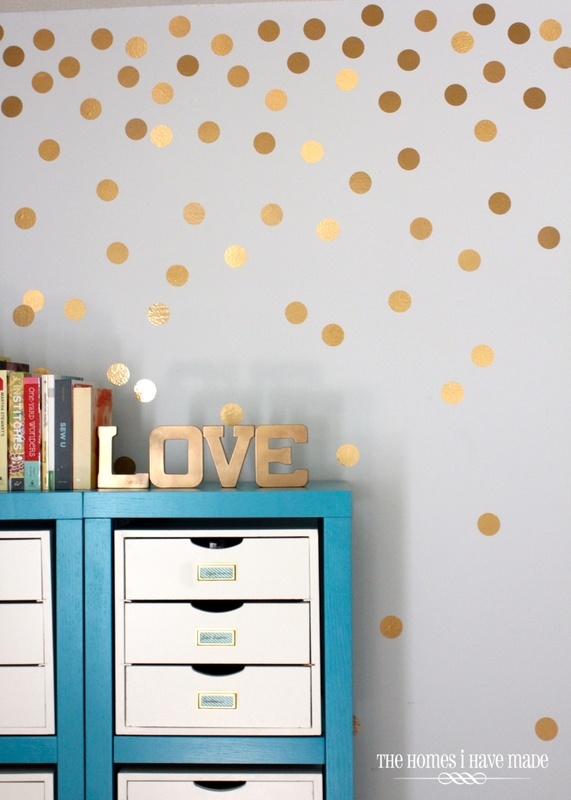 Make your walls shimmer and shine with thehomesihavemade.com's decorating trick for sprucing up your walls using metallic contact paper! First, cut out a large batch of circles from your contact paper using your Cricut machine or a 2-inch paper punch. Next, begin peeling the backing from the circles and applying to your wall one at a time, concentrating more dots at the top and less concentrated as you move down the wall. Then, step back every so often to see where more or fewer dots are needed. The best part? Decorating with contact paper means the dots can easily be removed and repositioned as needed and you're done! Just because you can't — or don't want to — paint your walls doesn't mean you have to be surrounded by walls that are blah. 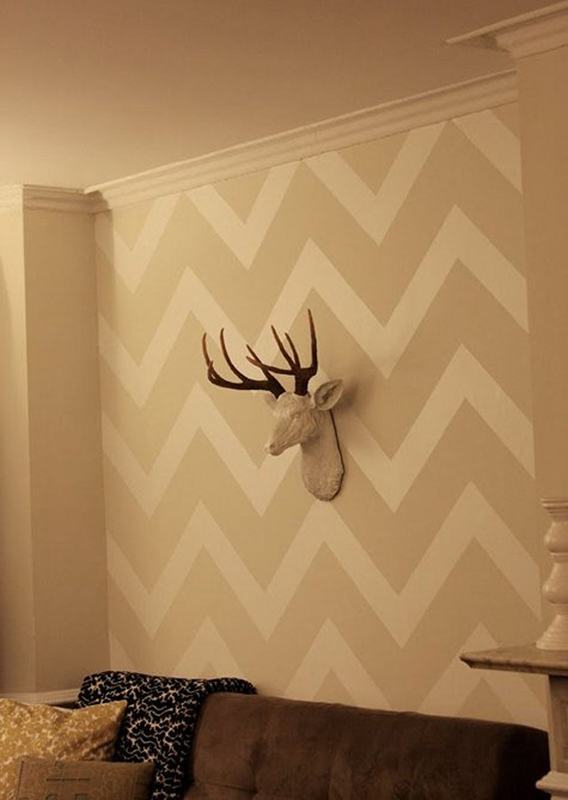 Find out how sabbespot.blogspot.com adorned her plaster and lath apartment walls with her favorite chevron pattern in only one hour! First, measure the width of your wall. Next, roll out contact paper to that length, add 2 inches. Then use the grid on the back of the contact paper or an architectural triangle to sketch your chevron zig zags. To use the triangle, align it with the bottom of the paper and draw 1 triangle. Then take your ruler or quilting ruler and draw a parallel triangle. Now, cut out your first chevron and tape, centered, on your wall. Leave the extra inch in the crack of the wall on each side. Next, to apply to the wall, peel 1 triangle at a time, ripping the paper off of the backside and smoothing to wall using lots of patience. Once you get it smooth, take your X-ACTO blade, score both ends in the corner, and peel off excess contact paper. Then, once you get your first triangle on the wall, measure from the bottom points to where you would like your next row to start. Measure every point and mark with a pencil. This is how you will align your next row. Now do the same for the rest of the wall and your temporary wall decor is complete! Tip^ Use caution when adding contact paper to drywall. The walls sabbespot.blogspot.com used were made of plaster and lath. 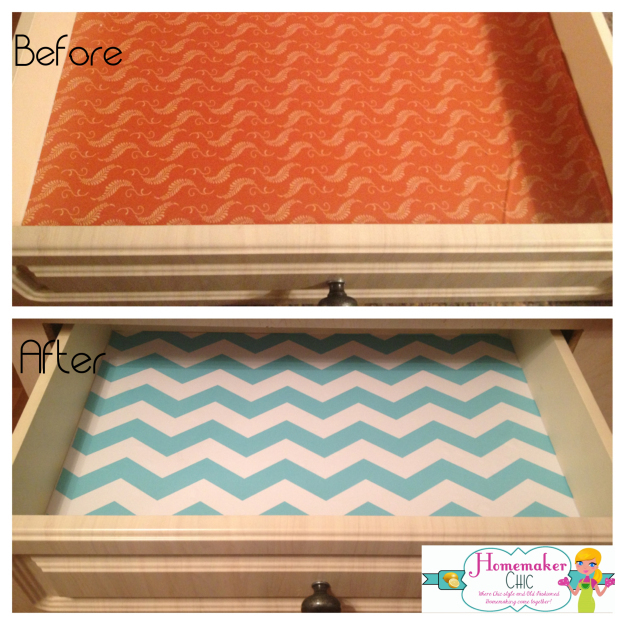 With your favorite fun contact paper pattern and some helpful tips from homemakerchic.com, you can add a burst of fun to your kitchen drawers, bathroom cabinets or bookshelves! First, peel back about an inch of the backing and press down just a small strip of the paper all the way to the farthest edge in your drawer or cabinet. Next, note the curl the paper has developed from being rolled up and lay it down in the direction of the curve in the paper. This will make it easier to go down. Then use a straight edge like a ruler or a paint stirrer (or just your fingers will work) to firmly press the paper down on 1 side as you gently pull the backing away from the paper on the other side. Work slowly and smoothly. Finally, if you accidentally get any bubbles, just peel back to the bubble and smooth it out. Looking for temporary wall decor that is way less messy than wallpaper and easier to install? 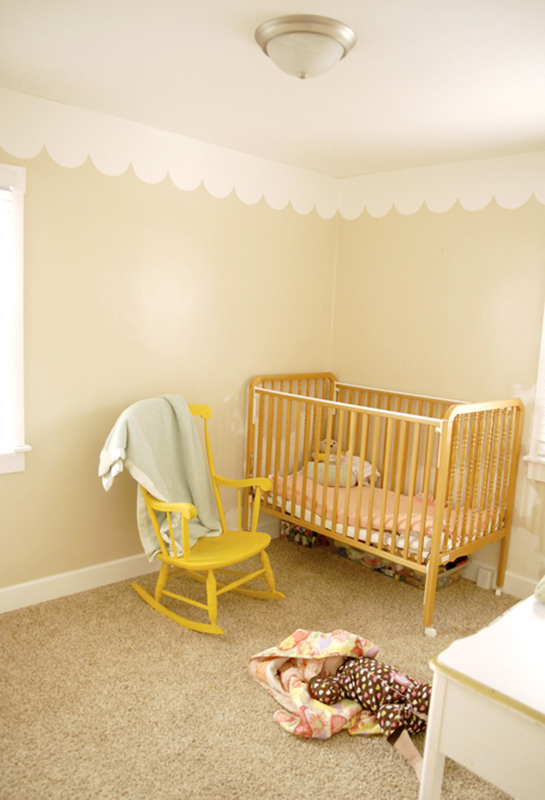 Then check out Melissaesplin.com's tips on how to decorate your walls with a contact paper scalloped border! Tip^This project is easier with 2 people. First, using a piece of cardboard or other stiff material, a ruler and pencil, create and cut out a scalloped edge you'll use as a template. Next, roll out your contact paper and lay it face down on a cut-able surface, adhering the scallop template to the back of the contact paper using double-stick tape. Then, use your X-ACTO knife to score lightly along the template, moving the template along the contact paper after cutting each section until you have the length of scalloped edging you need. This should take about an hour. Now, using the double-sided tape, line up your design along the top of your wall where it meets the ceiling, leaving the backing intact at this point. Once your design is lined up and you're satisfied with the layout, begin to gently peel off the backing from the piece that meets the edge of 1 wall a little at a time and smooth out the bubbles as you go. The secret to bubble-free application when you decorate with contact paper is to remove the paper as you go instead of trying to stick up the entire piece at once. Depending on the size of the room, this step requires 1 to 2 hours and your temporary wall decor project is complete! 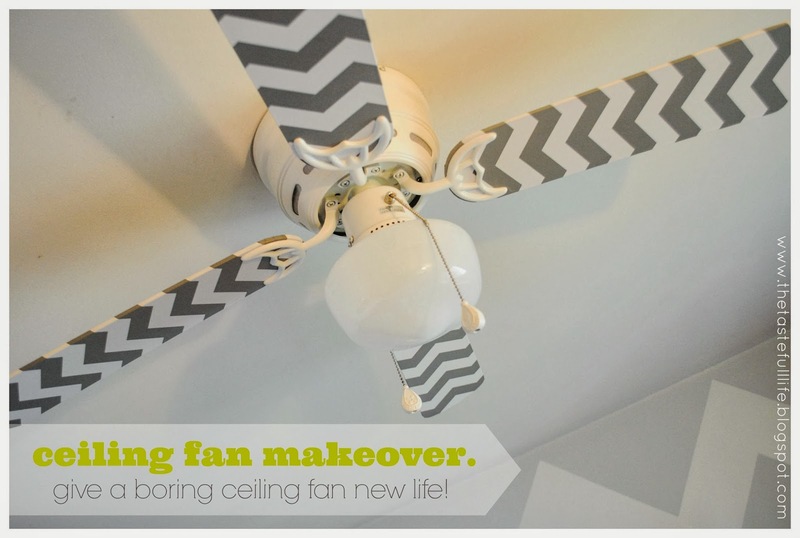 Make your ceiling fan just as fun as it is functional when you transform worn ceiling fan blades with contact paper and this decorating trick from thetastefulllife.blogspot.com! First, take your fan apart and give your blades a good washing. Once thoroughly dry, lay out your contact paper face down with the backing of the paper still on and lay your first blade face down on the contact paper. Make sure if yours has a pattern you lay it out in such a way that the pattern on the front makes sense. Next, mark where you need to cut adding 1 or 2 inches extra on each edge for wrapping; remove the blade to cut out along your guide. You want to have enough to be able to comfortably wrap over the edge of the blade and stick to the other side. Then place the blade back on the paper with the protective paper backing still on, double check the size and placement and follow the instructions on the contact paper to apply it to the blade, leaving the excess unapplied and unwrapped. Tip: Make sure to apply the paper to the right side of the blade! Now comes the tricky part. The fan blades curve so snip the paper twice just before and twice after the blade starts to curve at the top and bottom to allow you to wrap the paper over the edge of the blade easily without worrying about the curves just yet. Pull over and stick the contact paper at the middle of the blade leaving the ends for now. Next, trim the paper around the ends into a little bit of a curve, still leaving plenty of paper to wrap over. Add a few more snips along the end and pull and wrap at an angle. Repeat for both ends. Finally, repeat for all blades, put the hardware back on and put the fan back together for a decorating trick that can be completed in about an hour!